Today, we will discuss how to connect and share our phone's internet with PC or other devices using pdanet+ via hotspot or other means. This tutorial is useful for people who wants to use internet powered by VPNs or Proxy Servers like Psiphon Handler, Simple Server etc. For example, if you want to share your unlimited etisalat socialpak plan, you might have realised using ordinary hotspot doesn't work. Hence, you need this tutorial. First install pdanet+ app on your android phone. Download from here. Then crack the pdanet+ app with this licence key app here. All you need to do is install the key app and automatically the android pdanet+ becomes cracked. Now, enable 'Developer Options' on your android phone's settings. It is usually found under 'Security'. Open the PdaNet+ app on your android phone. 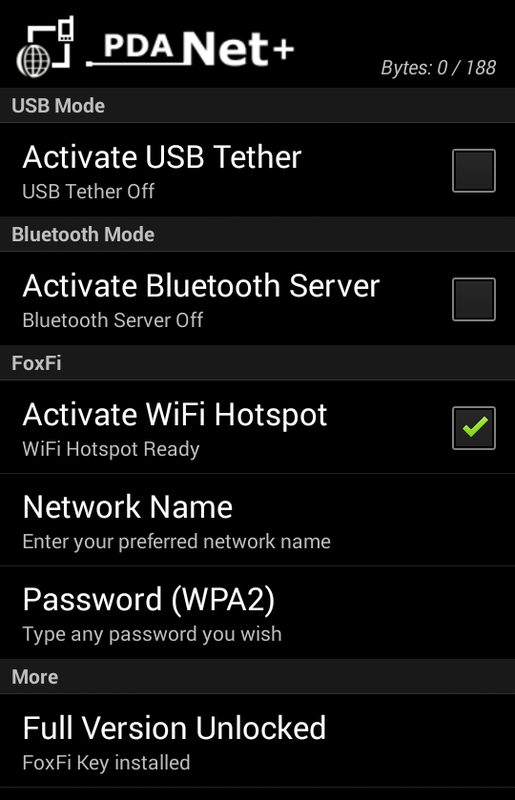 Under the 'FoxFi', enter the name you wish to give the network created by hotspot. Next, enter the password you wish to use lock your hotspot from unauthorised access. Finally, switch on the wifi of the device you which to connect. Search for the network name created. Connect to it and enter the password you created. Install PdaNet+ for pc on your computer. Click this link to download. When installing on your computer, just accept the license terms and keep pressing 'Next'. When asked for the model of your phone, please choose as appropriate. If your phone's model is not listed, please choose 'Other'. The PdaNet+ on pc will later ask to connect your phone, then connect your phone through usb cable. Note: Please make sure the cable you use is a data cable i.e. it can transfer files from phone to PC or vice versa. Some cables are only meant for charge ONLY. It is preferred you use your phone's original cable. 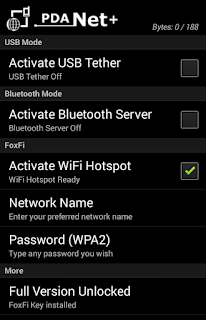 Finally select the mode you wish to connect your phone either through usb or wifi. You can change that option later or just skip that step. See pix below for clarification. Question: Do I have to go through the installation process over again when connecting your phone later.